AI is becoming more and more sophisticated. While many fear the worst case scenario will be a Terminator outcome, where AI becomes so smart it rules the world. Or it can be a source of huge frustration. But when it works, life is so, so easy. And there’s nothing better than a quick check-in that is hassle-free. When you travel to Singapore’s Changi Airport, that’s what you can expect with the introduction of the new electronic arrival card! 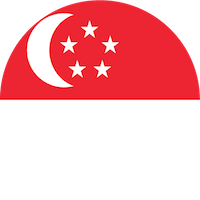 In early October, it was announced by Singapore’s Immigration and Checkpoints Authority that a three month trial will began on Oct, 4 for electronic arrival cards. Instead of completing paper arrival cards, you can fill in the electronic version online via an app or the website. This means all you need to bring is your passport! Changi Airport, Singapore Cruise Centre, Tanah Merah Ferry Terminal, Changi Point Ferry Terminal, and Changi Ferry Terminal, as well as the Woodlands and Tuas checkpoints currently accept passengers with an electronic arrival card. Eight million travellers flew into Changi Airport Terminal 4 since it was established only a year ago. And for the majority of these passengers, they can attest to how seamless the procedure was. But that’s only if they travelled with an airline that implemented the automated services available from the airport. The newest terminal was designed to have a completely automated departure process. This means from start to finish – checking in, the bag drop off at the departure hall and clearing immigration, until you board. Changi Airport Group (CAG) reported efficiency has gone through the roof, with a 30 per cent increase of travellers being processed per hour thanks to the automated systems. Cathay Pacific experienced the quickest times, as boarding went from 30 to 15 minutes! Cathay Pacific’s duty manager for airport operations Julie Ann Mabini has said one of the best things about the automated system is improving their customer service to assist people requiring physical aid or extra attention. While frequently used airlines have implemented the automated services in Changi Airport Terminal 4, six of the twelve airlines that fly from the terminal cannot offer the same services. According to one aviation expert, these types of services usually benefit airlines that operate many flights from the terminal. While the innovative procedure does help with cutting down on expenditure, the amount you save isn’t as much as you expect. In fact, Assistant Professor Terence Fan from the Singapore Management University said airlines that have and don’t have automated systems place two to three staff members on the ground. This could be why some airlines haven’t made the transition. In addition to the costs, integrating these systems take time to make all automated systems the same flawless standard in Changi Airport Terminal 4. CAG report that AirAsia, Cathay Pacific and Cebu Pacific Air provide automated check-in and baggage drop. And Korean Air will be following suit, transitioning by the middle of 2019. Now that you can fill in an electronic arrival card, does this make travelling easier? Heading To The USA? Here’s What You Need To Prepare! The Best Frequent Flyer Programs In The Philippines To Earn Free Flights!